Easter is right around the corner (doesn’t it just feel like it was the New Year?) 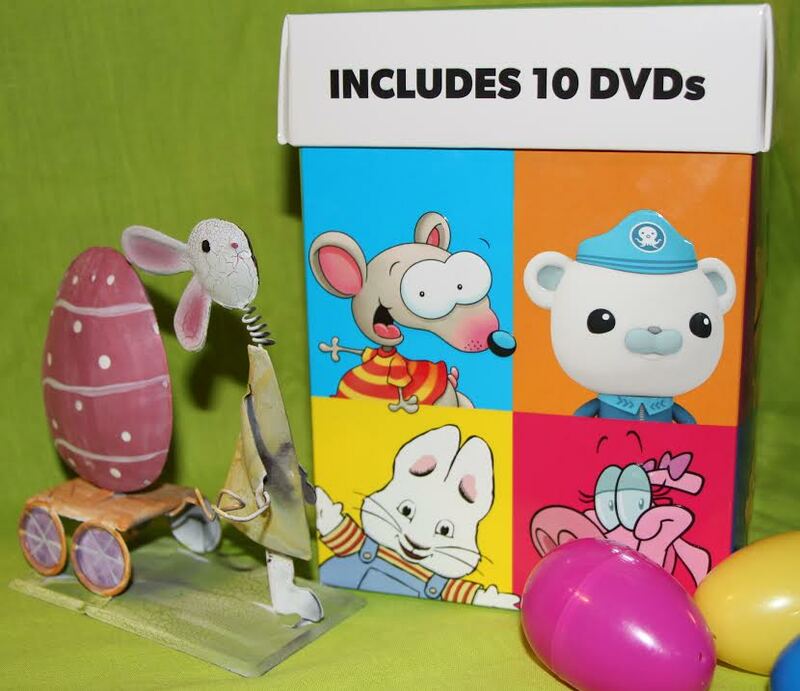 and what better way to surprise your little ones with a Treehouse Cube full of their favourite shows on DVD format! On March 3rd, kaboom! entertainment launched the Treehouse Ultimate Collection cube which includes ten hours of your favourite Treehouse shows. 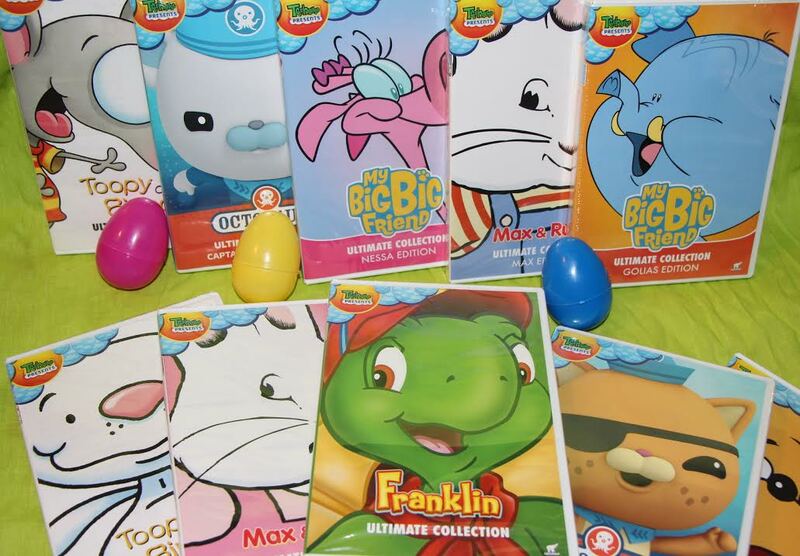 Inside this unique package you will find ten DVDs featuring: Toopy and Binoo, Franklin, Max and Ruby, Brother Bear, Captain Barnacles, Kwazii, Golias and Nessa. This collection features one hundred of your child’s favourite episodes! Our youngest was so excited to come home and find the Cube. He didn’t know which one to watch first! So he settled with catching up on more Toopy and Binoo followed by Octonauts and Bernstein Bears for me. 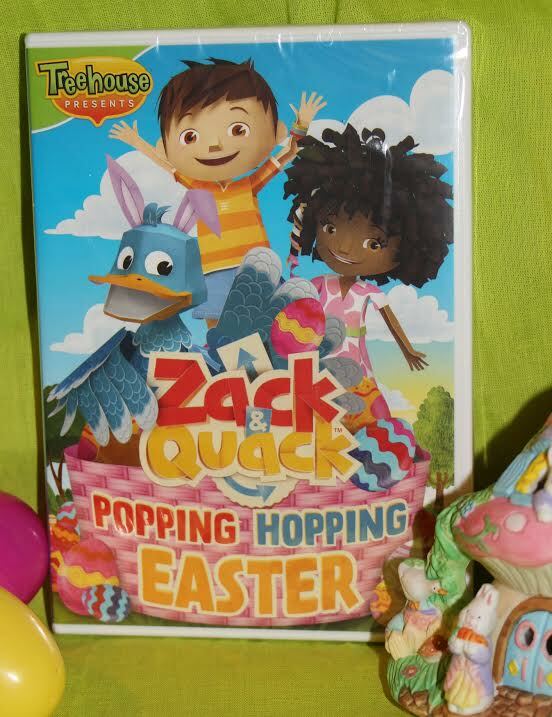 Zack and Quack: Popping Hopping Easter came with this bundle which was the perfect movie to get just in time for Easter. This DVD features Zack and his best friend, an impulsive young duck named Quack. They live inside a pop up book. It is a place full of surprises where pulling pop ups makes exciting and unexpected things happen. This DVD comes with five episodes. Remember the Guess How Much I Love You DVD I featured in January? This would be the perfect addition to add into your Easter gift basket for your little one. A special reminder to your little one on just how much they mean to you. If you have a little one at home that would love to win this Ultimate Treehouse DVD cube and Zack and Quack Popping Hopping Easter, you can now win your own just in time for Easter! My Canadian residents can enter via the Rafflecopter form below. Good luck! Make sure to follow kaboom! on Twitter and Facebook to keep up to date with new releases. Disclosure: I received the above mentioned products free of charge. All opinions expressed are my own. This entry was posted in children, giveaway, Movies, Products for Children, review, reviews and tagged in #giveaway, #review, children's movies. My granddaughter would love to see Guess How Much I Love You, I read that book to her all of the time. We love max and ruby. Toopy and Binoo or Max and Ruby or the Octonauts or any of them! We love Treehouse characters! Thanks for posting this to my weekly giveaway linky (Tuesday). My kids would love all of these, especially the Octonauts. Octonauts will be our fave! My little man is looking forward to watch Octonauts. guess how much I love you would be her favourite. My son would adore the Toopy and Binoo! Thanks! She loves Toopy and Binoo. Franklin is a hit here. My kids would enjoy the Toopy and Binoo DVD the most. my boys love all the treehouse shows, but i think they would be most excited about the octonauts as we don’t have any of those ones on dvd at all 🙂 Thanks for the chance. Toopy and Binoo would be a favourite! 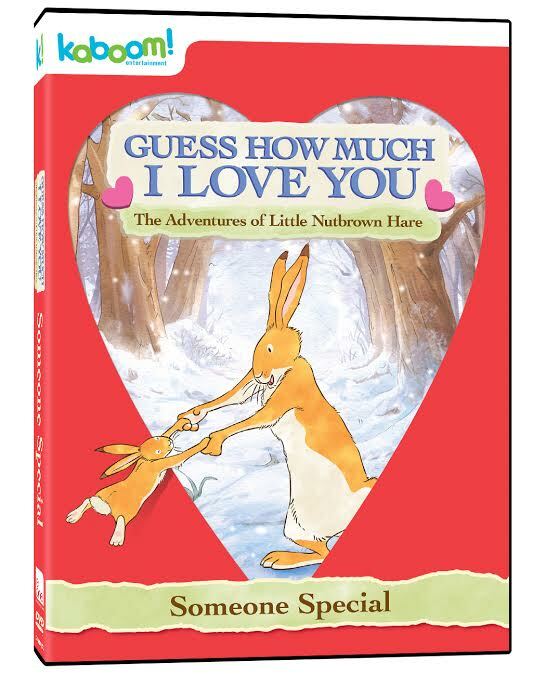 A perfect one to watch would be the Guess How Much I Love You, I read this one to my granddaughter all the time! My son would be happy to see Guess How Much I Love You (and so would I)! My daughter would pick Toopy and Binoo first! The “Guess How Much I Love You” video would definitely be the favourite! 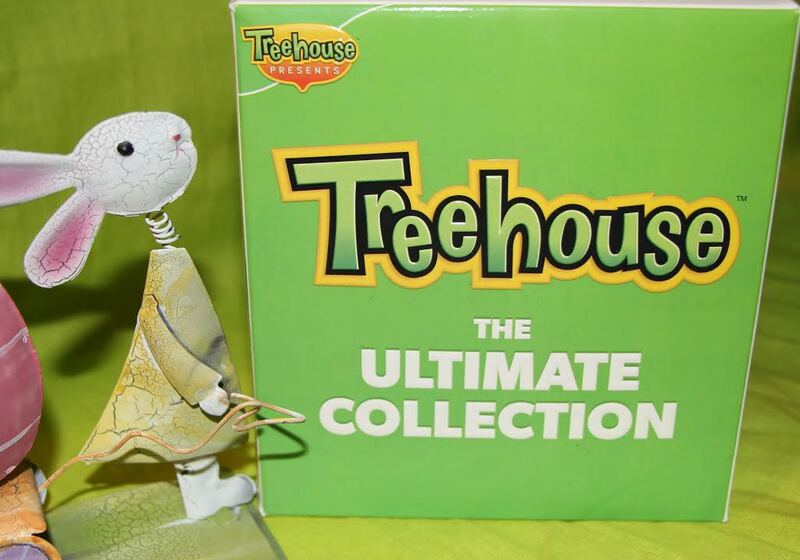 It would be great to win this Treehouse Ultimate Collection DVD Basket. My niece would be most excited to watch Max and Ruby. My kids would be most excited to watch Toopy and Binoo. My daughter would love to watch toopy and binoo!! Both of my kids would llove to see The Octonauts! My son and I are both Toopy & Binoo fans! Love the little imaginary adventures they go on. My daughter would enjoy the Max & Ruby dvd. I think the guess how much i love you dvd would be a favourite. It looks cute. My granddaughter would love ” Guess How Much I Love You” ! Thank you very much for this contest! We would be most excited to watch Franklin. Max and Ruby is a favourite in our house. She would be most excited to watch the Berenstain Bears dvd. My kids fav has been Max and ruby since they were babies.